Our farmers live in Carpinteria, raise their children in Carpinteria, spend their dollars in Carpinteria and believe in enhancing the quality of life in the valley. For decades, greenhouse growers have played an integral role in local causes. Their contributions have been crucial to the success of Girls Inc. of Carpinteria, Carpinteria Arts Center and the preservation of the Carpinteria Bluffs. Diversification into cannabis will allow our growers to continue to be involved in the betterment of Carpinteria. Individually, our members are deeply involved in the community. Our board includes Rotarians, members of the Chamber of Commerce, Santa Barbara Bowl Foundation and the California Cut Flower Association. 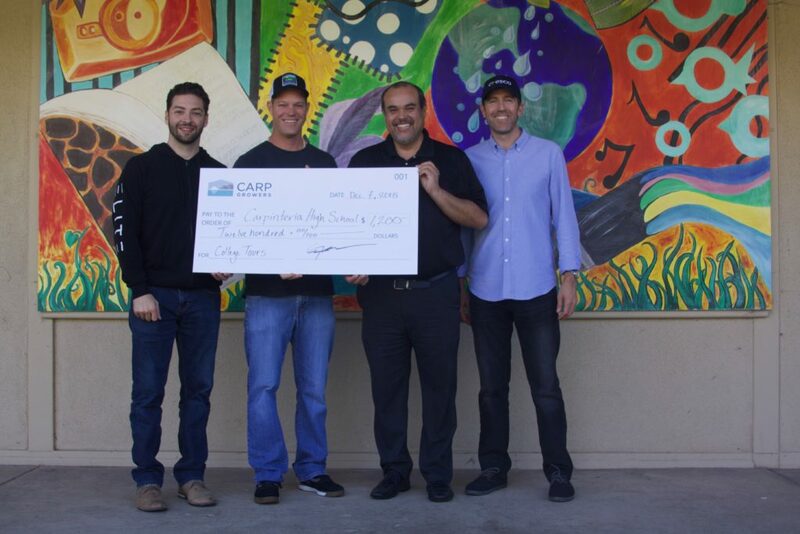 CARP Growers members and the association will continue to seek community giving and volunteer efforts that support the community.